This property is 4 minutes walk from the beach. In Weston-Super-Mare, Parasol Guest House offers en suite rooms and is less than a mile from the seafront. Free WiFi is available throughout. Parasol guest house is within easy reach of Weston-Super-Mare's town centre and shops. The Grand Pier is within walking distance of the guest house. The Parasol Guest House is situated 250 yards from the sea front in the popular south ward area, which is on a level, and is within easy reach of Clarence Park, Whitecross village shops, Golf course, Churches, Sea Life centre and the Grand pier which has been fully operational since May 2010. Contact The Parasol Guest House in Weston Super Mare Direct for the best accommodation rates. 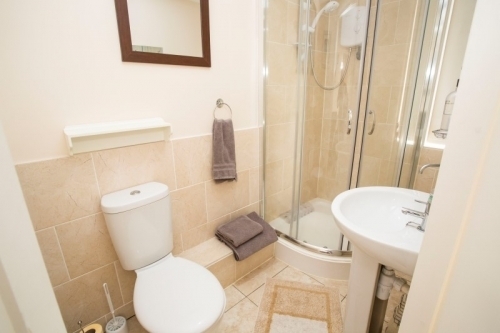 Our guest house in Weston boasts en-suite rooms at an affordable price. Terms: Call or see website for more information, or to book online.